Literacy week brought a call from the Principal of Clifton Preparatory School at Nottingham Road, KwaZulu-Natal, for right brain workshops for the school. Felicity travelled up to this prestigious school in the Natal Midlands to give a training first to some seventy grade 2’s and 3’s who were fascinated with the requirements of right brain writing and responded beautifully. They easily understood about the two sides of the brain and that the seat of creativity is in the right brain. Teachers were fascinated at what they wrote. 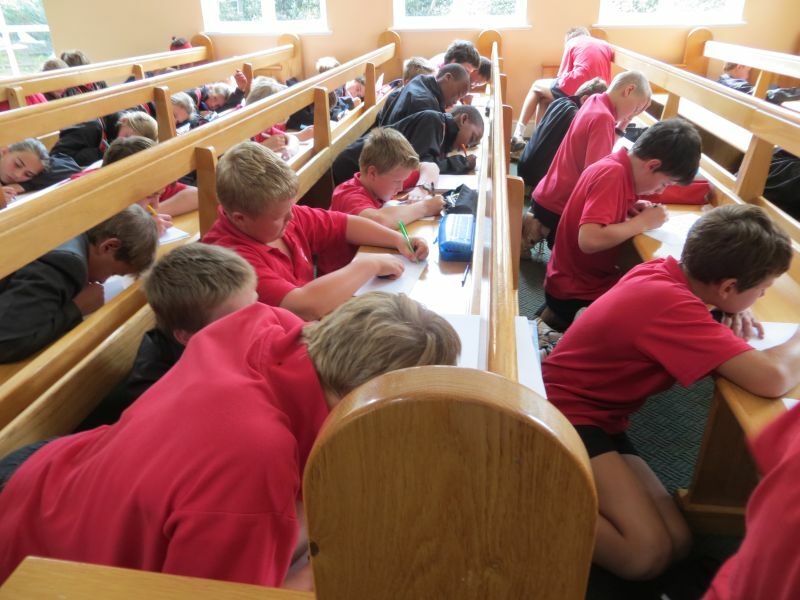 The second workshop took two and a half hours and involved many children who filled all the pews of the gracious chapel. The moment that Felicity said “You are now to write for 10 minutes without stopping” to a man, all of them turned around, knelt down, and used the benches as desks! An amazing pile of stories were the result. Many children came with smiles to thank Felicity and to say they had learnt a lot of new things that morning. It is possible that a selection of their stories could be published in an anthology for the school. Self esteem and confidence rise for children when they see their work in published form!